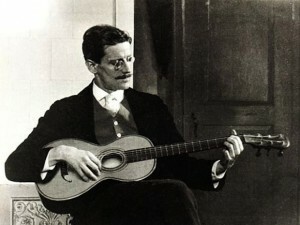 This project was Commissioned by ‘Waywords and Meansigns’ an ambitious and forward looking idea to set Joyce's seminal and experimental novel Finnegans Wake to music. The idea was a simple enough question. How many ways are there to read James Joyce's great and bizarre novel Finnegans Wake? Seventeen different musicians and artists from all around the world, each assigned to render a chapter aurally. The only requirements: the chapter's words must be audible, unabridged, and more or less in their original order. Book 3 Chapter 4 was composed and performed by The Conspirators of Pleasure (Poulomi Desai & Simon Underwood) using a variety of techniques including live improv, tape loops, modified Sitar,electronics and speech to text synthesis.